This time it's for real. 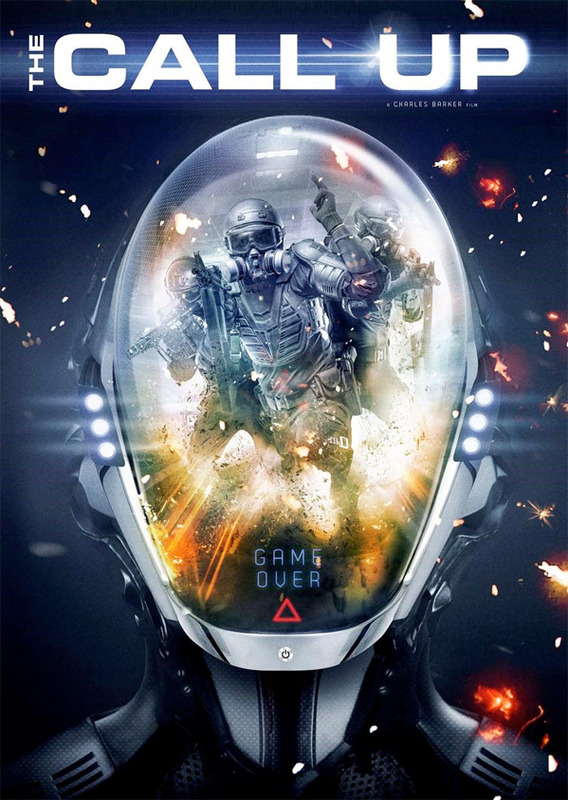 Vertical Entertainment has released an official trailer for a sci-fi action film called The Call Up, from writer/director Charles Barker about a virtual reality video game that turns out to be more than just a simple, harmless video game. The story follows a group of gamers invited to participate in a brand new shoot-’em-up virtual reality experience, but they soon discover it may not be a "game" after all. This sounds like it's borrowing the Ender's Game concept and combining it with the virtual reality craze. The cast includes Max Deacon, Morfydd Clark, Ali Cook and Christopher Obi. It actually looks like it has some solid action, but I'm not sure if the rest will be any good. The suits look a bit cheesy. Take a look. A group of online gamers are invited to try a state-of-the-art virtual reality video game, but things take a sinister turn when these masters of the shoot ’em up discover they will literally be fighting for their lives. The Call Up is a feature sci-fi film both written and directed by filmmaker Charles Barker, making his feature directing debut after making an award winning short film previously. The film opens in the UK later this year, but otherwise hasn't played at any film festivals yet. Vertical Entertainment will release Barker's The Call Up in limited US theaters + on VOD starting June 24th this summer. Anyone interested in this? Well... COD fans will love it. I will give it a shot someday. It kind of gives me a Cube feeling, with them being trapped in a game of dooooom! As usual the brother dies first. Here's hoping for a new article at some point to push that pic of the guy in the goofy helmet further down the page. Ha! You're that opposed to this film? Dang... One post is up there now at least, more on the way. No worries Alex, thanks for the info and good luck with alla that! Did you move to Berlin Alex? Nice one if so. It's a great place. I did indeed. Just moved to Berlin. I love it here! It is indeed a great place. Getting settled now, and pushing out some content now that I've had some rest. I know what you mean. The guy is in love with his gun.